Lately Atari has brought back many of its classic franchises in the form of an upgraded XBLA, PSN and PC title. We’ve seen things such as Haunted House and Yar’s Revenge in the past but neither of these titles holds a candle to Atari’s Star Raiders. Star Raiders was originally created back in 1979, making the original title 32 years old which means there is plenty to upgrade from. Has Atari’s latest venture in bringing the past back to a more updated future been successful? Now the story of Star Raiders places the player in a war against the Zylons. Humans have managed to make it into space but unfortunately they aren’t met with friendship. I wish there was more to explain here but there really isn’t anything much more in-depth than this. The story is forgetful at best and is told through a number of still image cutscenes and text that is usually voiced over. Now the main reason that the story is at best forgetful is simply due to the problems with these two things alone, besides the fact that little is not actually ever developed, nor do the Zylons receive backstory of any sort. The artwork in game is actually relatively good looking. Space ships are well modeled and have a nice feeling of vastness and speed as they fly through the emptiness of space. Players will really receive the feeling of being in space as there really isn’t a whole lot to see in the universe around you besides enemy ships which look great and galaxies or planets in the distance. Unfortunately when you actually step away from the gameplay graphics you find a much less pretty picture. Whenever something story related is worth explaining it occurs through still cutscenes that are relatively well drawn, but characters seem to be an issue as many of the characters drawn are odd looking to say the least, especially considering they are all supposedly human. Now earlier I mentioned that these cutscenes are voiced, and this is most certainly a good thing as the text in the game is small enough to make you feel like you’d be better off ignoring the text altogether and flying off on a wing and a prayer. In this day and age it is depressing to see text as tiny as this is; even with a large HD television the text doesn’t reach levels above eye bleeding tiny. The voice work for the cutscenes is suitable at best but doesn’t really add much to the experience beyond allowing you to understand what is happening at any given moment. Explosions and other sound effects sound well enough in space but there is nothing noteworthy here as they did not leave any impression other than the fact that there was sound. 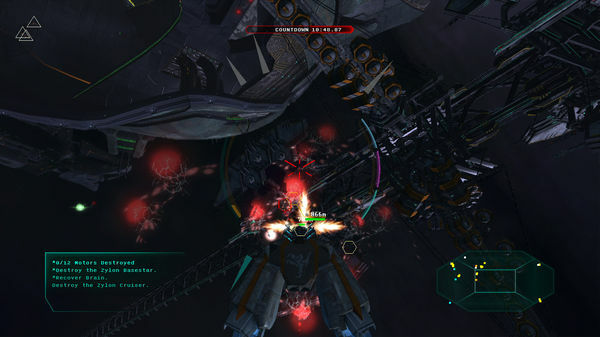 Players are given a space ship that has three different modes of fighting the enemy in space. These modes are the highlight of the game as you can change at the slightest touch of a button. These modes are Turret mode, Assault mode and Attack mode and each varies in both weaponry and appearance. They also vary in control scheme but I will address that later. The first few levels you are given in the story are treated as tutorial levels that help walk you through some of the basics of Star Raiders and teach you each of the various ship modes and the weapons equipped to each one. This tutorial ventures outside the combat and into the customization area as well as players are given the ability to customize their weapons and their AI co-pilot. Unfortunately the co-pilot is nothing more than a fancy way to say stat boosting item. 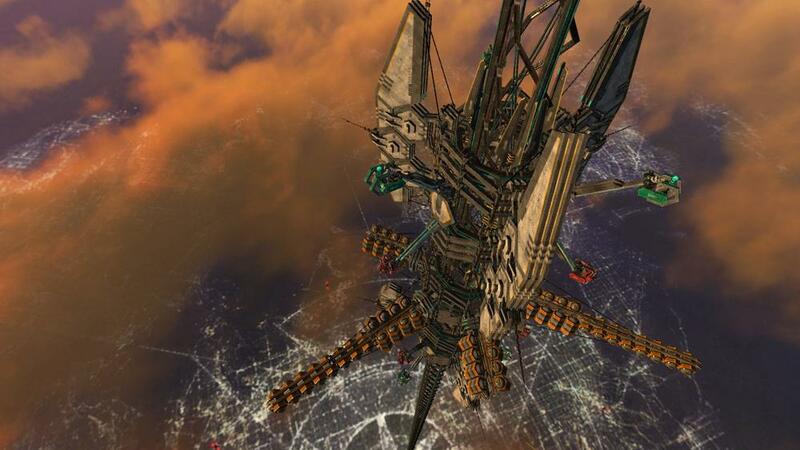 Combat is relatively basic, fly around space and enter dogfights with the Zylon fighters. 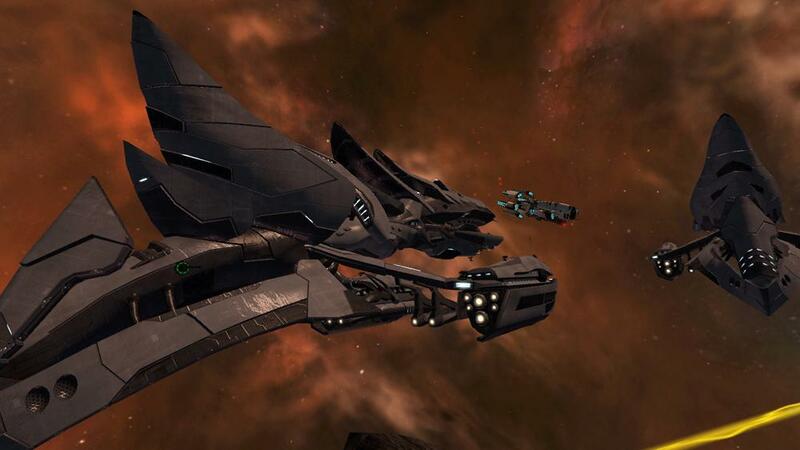 You will find a number of different mission varieties that will ask you to either destroy a certain amount of enemies, protect a ship for a certain period or destroy a very large enemy battle ship. Unfortunately even with this extra variety combat simply has little actual challenge or enjoyment outside the first few minutes. There are a number of reasons for this, as players will find that the enemy AI is usually quite poor and they will not bother you heavily until you are right on their tail firing on them. The bland combat is made worse by the fact that there is little actual challenge. It is interesting to note that players are shown a Recharge station where they can recover health as well as secondary weapons for their ship, but in truth there is no reason to even bother with recharge stations. The reason for this is that there is no penalty for death in Star Raiders besides a three second respawn. Players will find themselves crashing into asteroids or space debris simply to gain their supplies back faster and take down enemies. The UI helps players always find where they will find their next target and often a heat seeking missile is enough to finish off the majority of enemies you face. If anything will add difficulty there is the control scheme. Earlier I mentioned that each of the three ship modes has a different control scheme, and each is customizable. This may be your barrel of fish if you enjoy micromanaging everything about your fighter but for others this barrel of fish is rotten and should be jettisoned out of an airlock. The controls are extremely hard to get used to as they do not lend themselves well to a console. Once you obtain mastery of the controls the game gets even easier than before but this at least adds further challenge to the beginning few levels. Also there is no multiplayer mode at all which is truly a disappointment as a dog fighting mode with other players would have been a definite plus for the title. There isn’t even any co-operative play mode which would have worked flawlessly but unfortunately is not implemented. 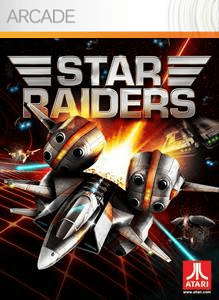 The lack of any multiplayer is a true loss for the title and for those who pick up Star Raiders. Now Star Raiders is a title that made History back when it was released in 1979. Unfortunately this remake in 2011 doesn’t lend itself well to modern times. The most depressing thing about the title is that there is truly a lot of potential here. Spaceship fighting simulators on current-gen consoles can most likely be counted on one hand and with Star Raiders multi-mode ship combat it could have created a great title. But instead it became something that is extremely bland that has little challenge outside of its control scheme and reading the text.